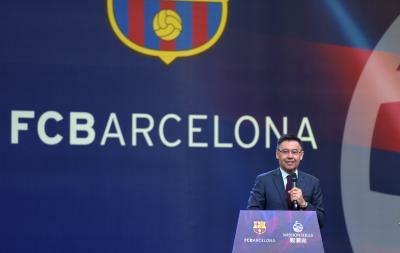 Contradicting FC Barcelona President Josep Maria Bartomeu, veteran midfielder Andres Iniesta has denied an agreement in principle for him to extend his contract with the Catalan football giants beyond its expiry at the end of the season. “I’ve experienced a lot of sensations I’ve not known before, but I think they’re normal. It’s a scenario which three years ago I could never have imagined. Let’s say I’m thinking about my future when before I wasn’t,” Iniesta was quoted as saying by espnfc. In an interview with Mundo Deportivo on Tuesday, Bartomeu had said: “We have an agreement in principle for Iniesta to renew (his contract) and we hope to finalise it in the coming weeks. “We’re waiting to continue talking, but Iniesta is a player we want to retire here when he feels it’s the right time to retire. He added that 33-year-old Iniesta is a one-club man and like Messi is an inspiration to many. A product of FC Barcelona academy, Iniesta has won eight La Liga and four UEFA Champions League titles for his childhood club. He currently captains the Catalan outfit. Iniesta is out of contract in the summer of 2018 and he has been linked with a move to Italian champions Juventus lately.